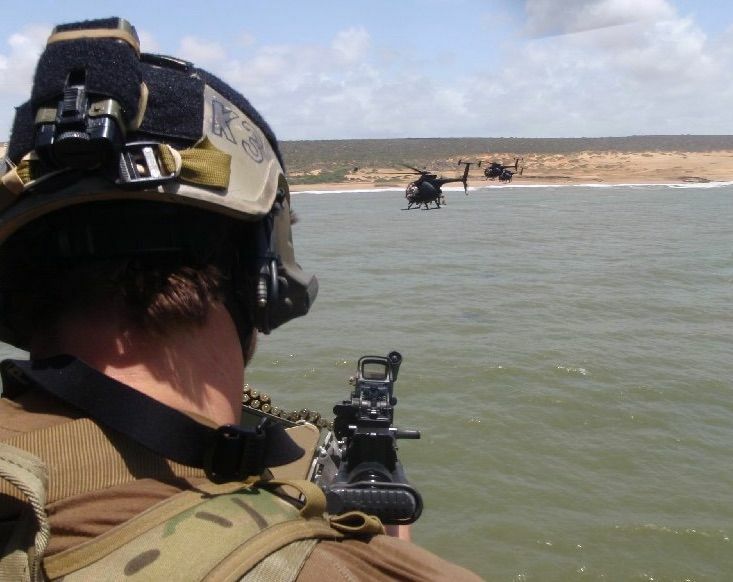 A KC Navy seal, what the heck is Blepharitis, and another CXL trial! Read now! Steven Van Horn travels across the country to work with professional athletes and corporate leaders. He helps them to improve their mental and physical approach to their careers. People listen when he talks. Why? 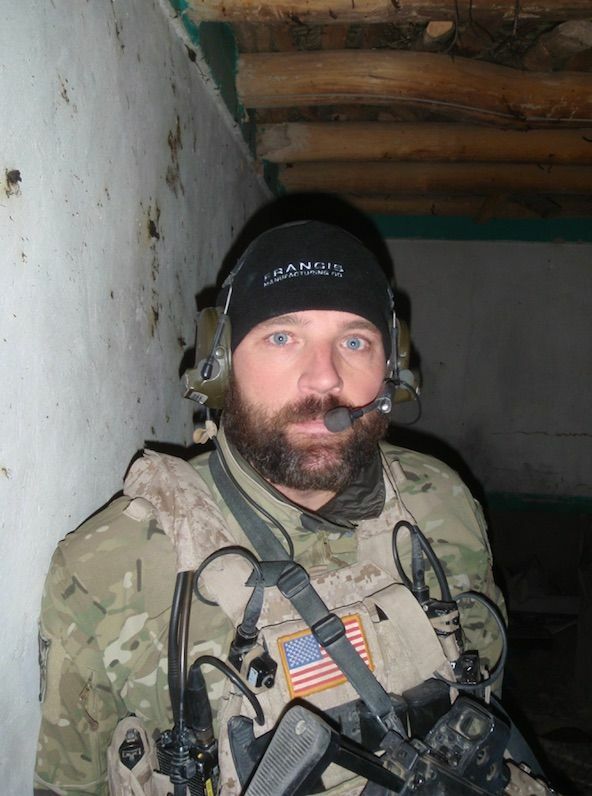 Well, Van Horn is a retired Navy SEAL. 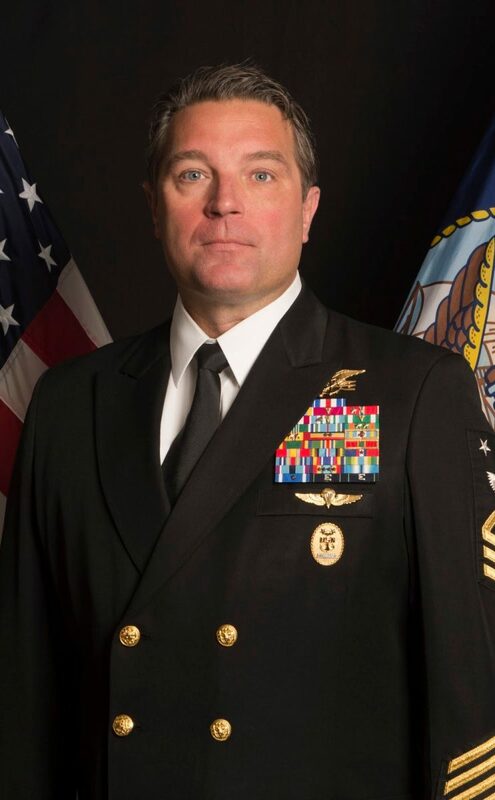 During his thirty year career, he headed the SEAL selection and training program for 3 years and led a 3,000 person Task Force in the Middle East. 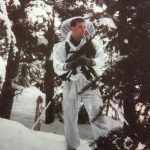 He has received numerous decorations during his service, including the Silver Star, Legion of Merit with Valor, Bronze Star medal with Extraordinary Heroism, six Bronx Star Medals with Valor and numerous other personal and unit awards. Steve knows about mental toughness and testing limits. And he has keratoconus. 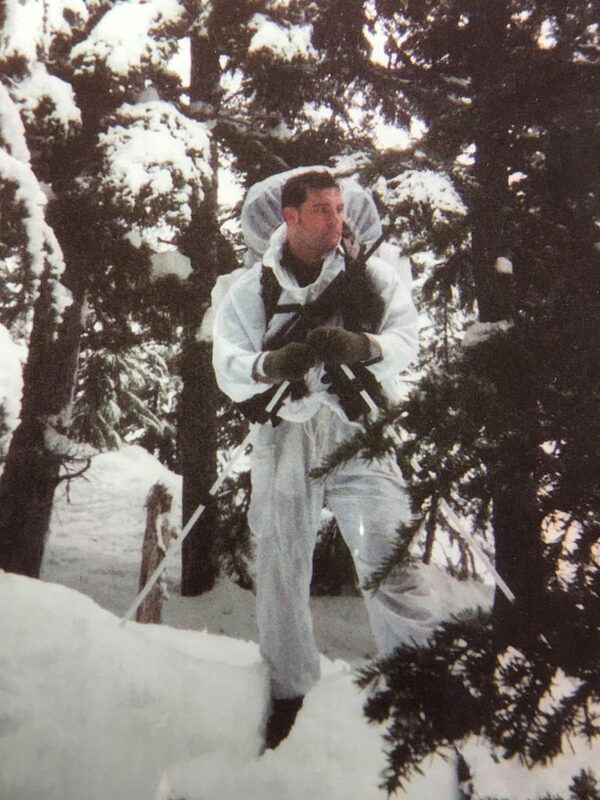 I enlisted in the Navy in 1987, and three years later began training as a SEAL. I was diagnosed with KC shortly after 9-11. 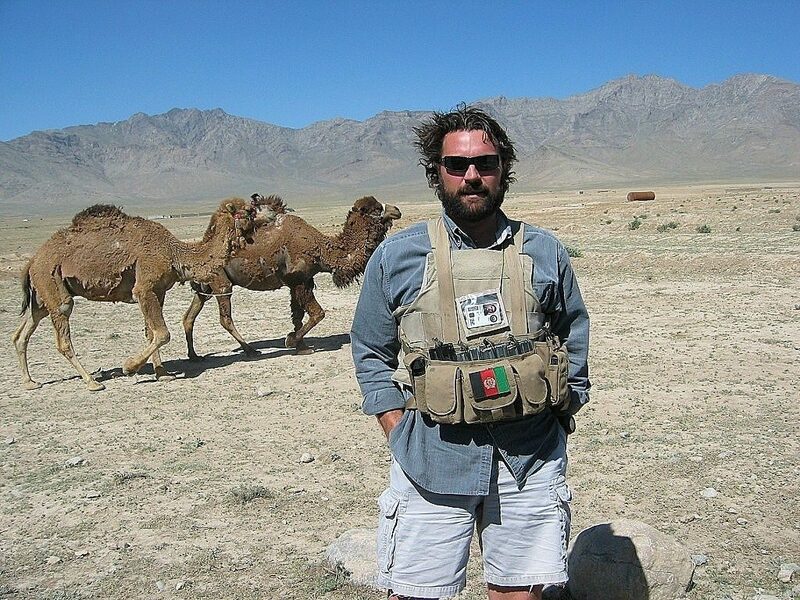 After 2001, I deployed multiple times to Afghanistan and Iraq. I tried everything to battle my KC. Glasses and gas permeable contact lenses just didn’t work. The heat caused my glasses to fog, and the constant dust made GP lenses too uncomfortable to wear. 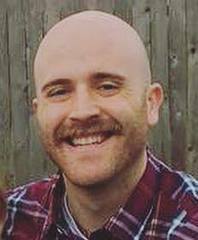 I ended up for the better part of 15 years not wearing anything in my left eye while deployed. While this strategy worked, it obviously was suboptimal for me. It causes constant headaches and really affected me while utilizing Night Vision Goggles while operating at night. 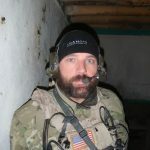 When I would come home from deployment, it would take weeks for me to get used to wearing a GP lens again. The official policy of the Department of Defense Medical Standards for Appointment, Enlistment or Induction (DoDI 6130.03) is that a diagnosis of keratoconus prior to enlistment will disqualify an individual for service or admission to a service academy. 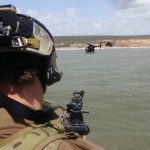 NKCF is advocating for the Department of Defense to review and revise their current policy on appointment and enlistment after a diagnosis of keratoconus. 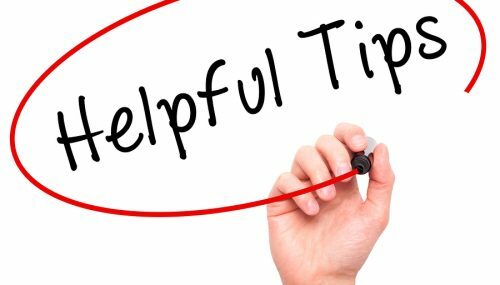 If you have a story about your military service after a diagnosis of KC, or one about ineligibility due to KC, please let us know. We will compile them and share them with the Asst. Secretary of Defense. 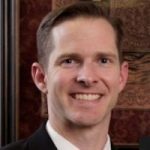 Maj. Marc Neuffer, MD is chief of cornea and refractive surgery at the 10th Medical Group, US Air Force Academy in Colorado Springs, CO.
Have you ever been told you have blepharitis (blef-uh-RYE-tis)? Blepharitis or Meibomian gland dysfunction (MGD) is not uncommon, and occurs when the lubricating glands located at the edge of the upper and lower eyelids become clogged or blocked. 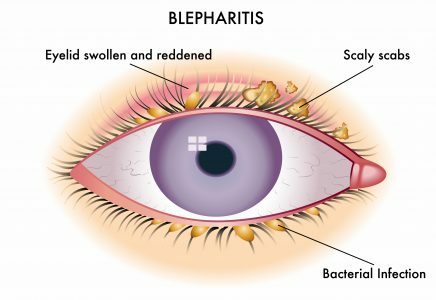 Blepharitis can result in dandruff-like flakes or particles at the base of the eyelids, loss of eyelashes, itchy irritated eyes, red swollen eyelids, or a pimple on the eyelid called a chalazion (or stye). And how do people usually react to the discomfort of blepharitis? By rubbing their eyes. A recent study in Israel compared 50 individuals with keratoconus to a group of study subjects without eye disease. Both groups completed a survey about eye conditions and were given a complete eye exam. Although this was a small study, the results were revealing. The KC group reported significantly higher sensitivity to light (22% vs. 3% in the control group); discomfort in windy conditions or low humidity (12% vs. 1%) and irritated eyes during reading or computer use (16% vs. 0%). Dandruff-like scales on the eyelid were reported on 48% of KC subjects vs. 8% of controls as well as missing eyelashes (40% vs. 1%). A comparison of medical histories in the two groups reported symptoms of blepharitis in 24% of the KC study subjects and only 3% of the control subjects. While there is no known statistic about the percentage of individuals with KC who also have blepharitis, there is a substantial overlap. Please take our 30-second survey. NKCF wants to collect more information about KC and Blepharitis. Advanced cases may require medication, but for many, effective treatment for blepharitis can be simple to perform, and lack of treatment will increase eye discomfort and may result in progression of KC. Talk to your eye doctor if you believe you have symptoms of blepharitis/MGD. Dr. Colton Heinrich, OD, FAAO, FSLS specializes in fitting specialty contact lenses for his patients at the Clarke EyeCare in Wichita Falls, TX. 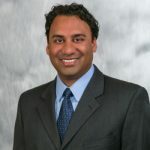 Avedro, the company that received FDA approval for its epi-off crosslinking (CXL) in 2016, recently began a new transepithelial or epi-on CXL clinical trial for progressive keratoconus. The first study subjects have already been treated. 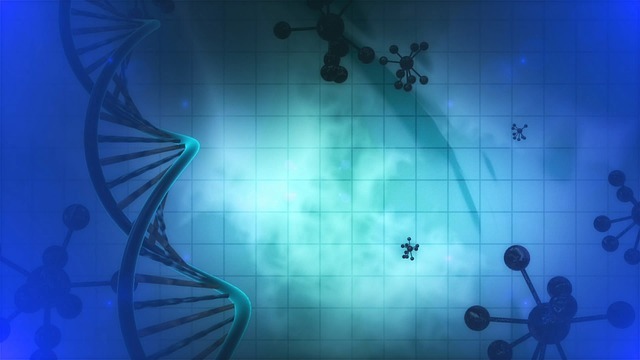 The trial will enroll 275 individuals and randomly assign them to one of two groups: about 180 of the subjects will receive the epi-on treatment, and about 90 in the control group will receive a sham treatment. The goal is to show a difference in corneal steepness between the two groups after six months. Patients will be followed for one year in order to gather additional data about outcomes, and those who received the sham treatment will have the opportunity to receive the epi-on treatment at the end of the study. The company has announced there will eventually be about 20 centers participating in the study which is expected to run for two years. Eight centers have been named and are currently recruiting participants. Locations are in California, Massachusetts, Ohio, Pennsylvania, South Dakota, Texas, Utah and Virginia. As is typical for FDA drug trials, the CXL treatment is at no cost to participants. Favorable results with this study and eventual approval by the FDA will mean that patients who have concerns about epithelium healing and recovery time associated with the approved epi-off treatment would have a tested and verified alternative. If you think you might be a good candidate for this clinical trial, you can read more here. The National Clinical Trial identifier is 03442751. Through the efforts of patient advocates, industry, physician groups and NKCF, there are now 49 insurance plans, representing 120 million lives that offer CXL for progressive KC as a covered benefit! Read our tips before you schedule your CXL treatment. Individuals with KC are sometimes forced to make the choice between useful vision and ocular comfort. Wearing contact lenses may reduce the halos, streaks, and visual distortions, but contact lenses can also be a source of extreme eye irritation. Contacts have the potential to cause dry eye symptoms, or make dry eye symptoms worse if the tear film does not provide adequate wettability. And for others, their tear mucus film contains lipids that result in deposits on the contact lens, leaving a film or foggy surface. What if a contact lens could be developed that would hold moisture? Hydra-Peg is a clear-coating technology composed of 90% water PEG (polyethylene glycol). Hydra-PEG can be permanently bonded to most gas permeable or scleral lenses. The polymers create a wetting surface that helps to maintain moisture and keep the surface of the lens free from film build-up. Hydra-PEG received FDA approval in 2016, and since that time, eye doctors have recommended this coating to patients who complain of irritation resulting from fogging, deposits and poor wetting. If you think you might benefit from Hydra-PEG coating on your gas permeable or scleral lenses, talk to your eye doctor. To learn more, including how to care for your Hydra-PEG coated lenses, visit Tangible Science. 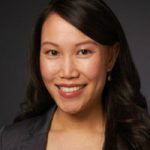 Dr. Gloria Chiu, OD, FAAO, FSLS is Assistant Professor of Clinical Ophthalmology at USC Roski Eye Institute in Los Angeles. 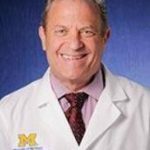 Dr. Michael Lipson, OD, FAAO, FSLS, is Associate Professor in the Department of Ophthalmology at Visual Sciences at the Kellogg Eye Center, University of Michigan. Allergies and the KC Connection? 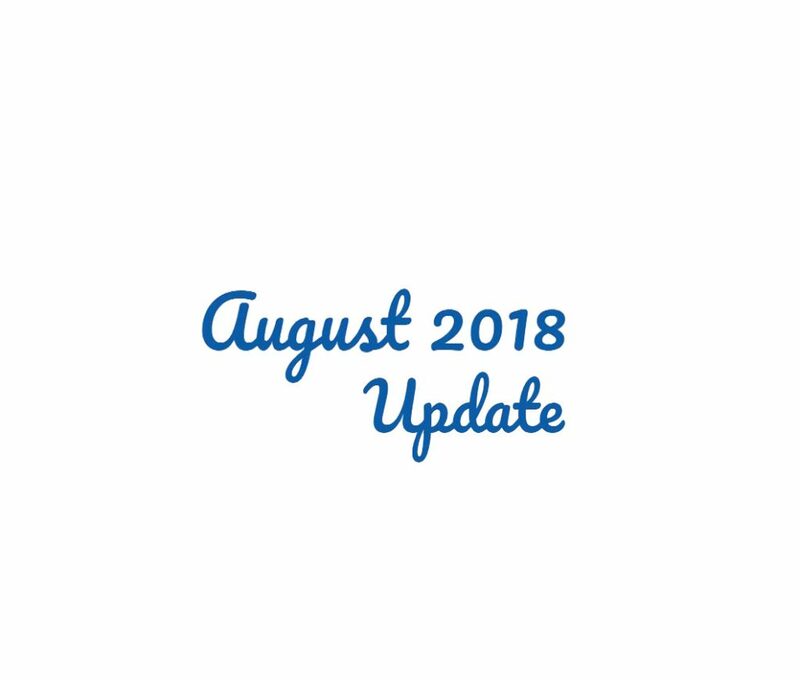 Did you participate in our July Allergy Survey? If you did, thank you! 227 people answered a few questions about allergies and their keratoconus. We like to put informal surveys on our website, often the topics come at the suggestion of KC scientists. If they find an interesting trend in the responses, it may convince researchers to look for funding to conduct a large, formal research project. The few minutes you take to complete the survey really does increase our understanding of KC. What did we learn from our Allergy survey? 85% of those who responded to our survey complained of allergies. In the general public, about 30% of the adults report allergic symptoms. There is definitely a higher prevalence of individuals with KC affected by allergies, perhaps half of all KC patients suffer allergic symptoms. Grass and pollen are by far the most common source of allergic symptoms with 139 of 194 responses (72%) citing this as their primary irritant. Significantly, 80% of respondents complained of sneezy, runny and itchy noses, and only 60% reported symptoms of teary, painful and red eyes. 2 out of every 3 people who completed the survey admitted they rubbed their eyes daily or several times a week. In our survey, men were more likely to report eye rubbing than women, and those over age 35 were the group least likely to rub their eyes. One interesting observation was that individuals who were diagnosed with KC when they were older – over the age of 35 – were more likely to complain of allergies and allergic symptoms than those who were diagnosed before the age of 20. NKCF participated in the recent Down Syndrome Congress, held in Dallas. This conference draws from across the country and had close to 4,000 families and attendance. Dr. Ann Ostrovsky, MD, of the Ophthalmology Department at New York University presented a lecture to the medical specialists in attendance. She reminded them that vision problems for individuals with Down syndrome (DS) are sometimes overlooked because patients may not complain, and so it is often left to family members or others to notice behaviors that indicate vision changes. Dr. Ostrovsky reminded practitioners about many of the common and not-so-common eye conditions that affect patients with DS, and gave special attention to keratoconus. She provided tips on how to avoid eye rubbing, spoke of the importance of early detection and explained the value of corneal cross-linking (CXL) to halt progressive KC. It is estimated that about half of children with Down syndrome have a refractive error that would benefit from corrective eyeglasses. The American Association for Pediatric Ophthalmology and Strabismus estimates that about 30% of these children may have keratoconus. Ophthalmologists with expertise working with special needs patients like Dr. Ostrovsky stress the importance of early identification of KC, beginning in the teenage years, and seeking treatment when appropriate. A few of the families who attended the DS Congress shared their experiences with CXL. Parents reported that the procedure went as planned, and credited the team of supportive caregivers, an understanding surgeon, and a cooperative and willing patient. 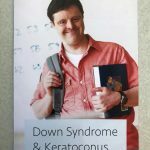 NKCF has printed a new brochure, Down Syndrome and Keratoconus, which we have placed in some of the DS clinics across the country as part of our awareness campaign. If you are interested in receiving a free copy, you can order one here. 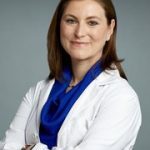 Dr. Ann Ostrovsky, MD is the Chief of the Ophthalmology Service at Bellevue Hospital and Director of the New York University Keratoconus Program. 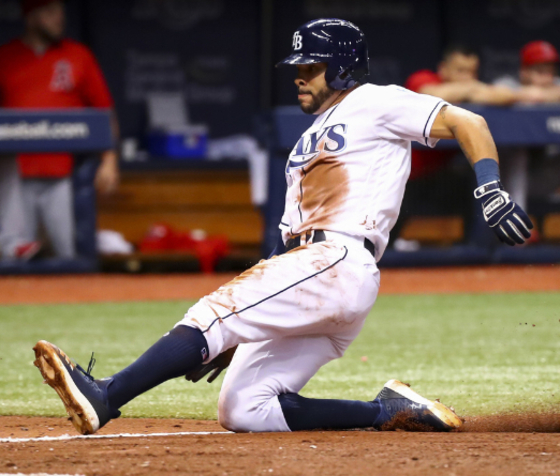 NKCF Ambassador Tommy Pham has traded red for blue. The athlete with the “Believe in Yourself” tattoo who shared his KC journey with NKCF is now a member of the Tampa Bay Rays. Baseball fans can follow Tommy on Instagram. It is not too early to start thinking about World KC Day on Saturday, November 10. 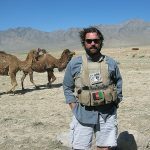 Visit www.worldkcday.com for ideas and information. As the year ends, please consider making an on-line donation to NKCF. Remember donations to the UCI Foundation for NKCF are used exclusively to support our programs. Want the latest news & Research About Keratoconus?